K after testing... the big dragons w swords are out. This will be my competitive that I'll be running this format unless something really changes. Seven tools address more though the compulsories/trap stuns etc worked good too (Bribe had to much of a cost), CoC at 2 is where Ill keep it due to only 5 targets and future fusion, Oppression has tested beyond good in most match ups so it earned a spot on the main. I like inferno too much not to run it though it eats up a spot in my main and in my extra. Malefic gives me avenue to Trident or else he wouldn't have earned that spot on his own. Im glad I can finally set the deck down for a bit not feeling like its still incomplete. Give 2 big dragons 2 big swords and what do you expect. Ish is gonna pop off!! Ok I realized in looking back Ive been in dragunity madness here and need to diversify some posts but for now Im feeling over sharey of what Im working on. Right now Im weighing the pros and cons of the 2 big sword wheeling dragons above. 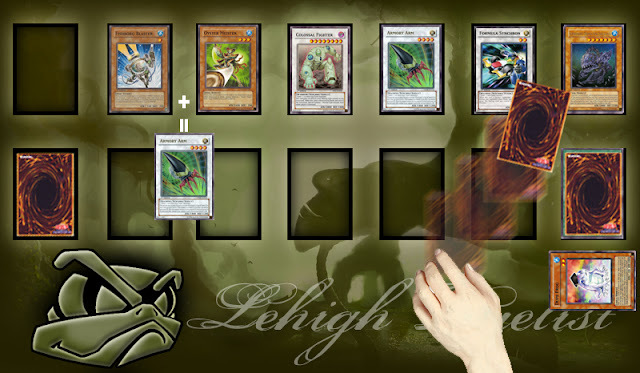 When I first started working with the archetype I think I was lulled in to Leyva, dude is big an bad comes out fast and gets you Trident dragon like nobodies biz. Myst suffered from ATK envy. How ever Im now reconsidering. - Can be dumped with Ravine or Future Fusion so that he can wait there for the right moment when you know you got game. - doesn't remove from play to summon. 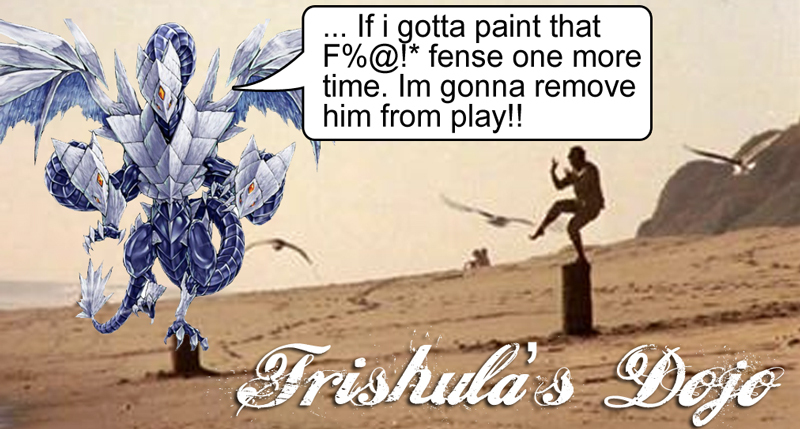 - Cleans up your mess, if you have a weak dragunity sitting out there (just did a Aklys Legionnaire play and your stuck with a 1200 ATK just beggin to be smacked, bam 2100 at your service. 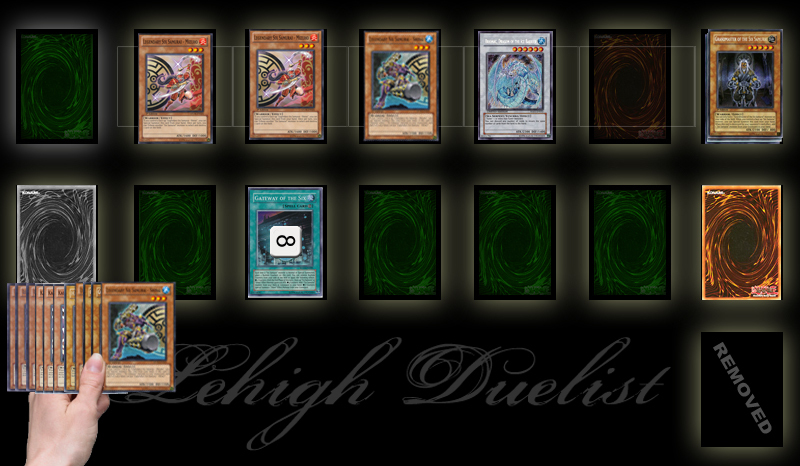 Ok I was asked by a couple for my current Dragunity deck list and was really hesitant to post it because its still testing a lot of stuff out. But I thought it may be cool to post it so you can see its evolution. Im a combo guy which can at times make for bad Yugio which really operates of of the K.I.S.S. philosophy (keep it simple stupid), but there is something satisfying for me in complexity. 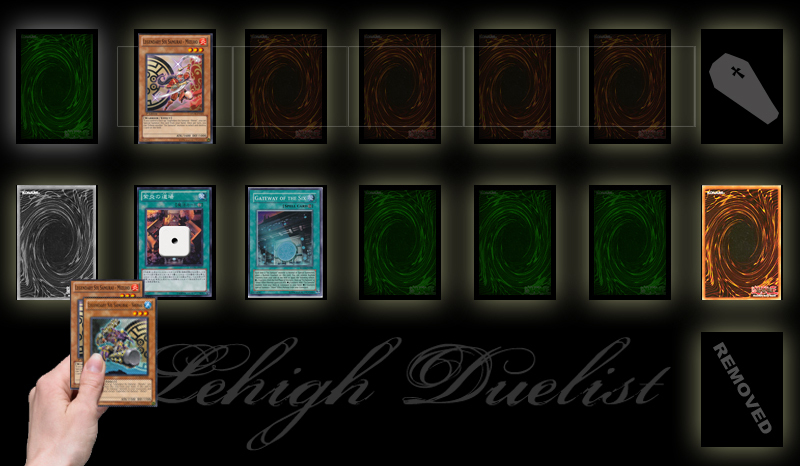 I've been mucking around with that comboism philosophy a bit in the dragunity deck. 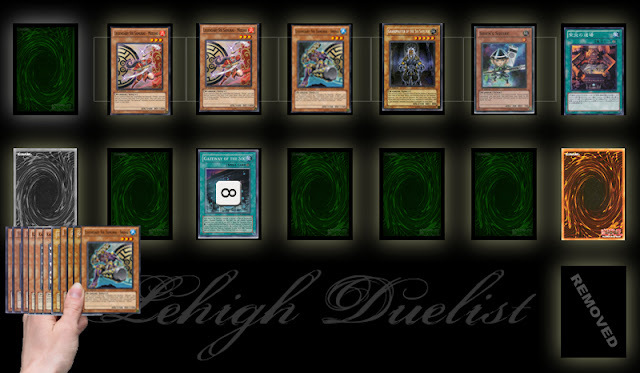 At first I ran the deck very conservatively, first turn Stardust with back rows & using Icarus attack, legionnaire and aklys combos alot but soon needed to add more offensive strategies to the deck and realized my wing-beast rarely stuck around to justify deck space for the icarus in the main, from there I kinda focused on the Ley La Loop a lot but got really tired of the whole field getting nuked from LaDD and mudderfugginbrionaccompulsorybullshit. So in this build Im much more offensive focused and really going for maximum boss monster presence. 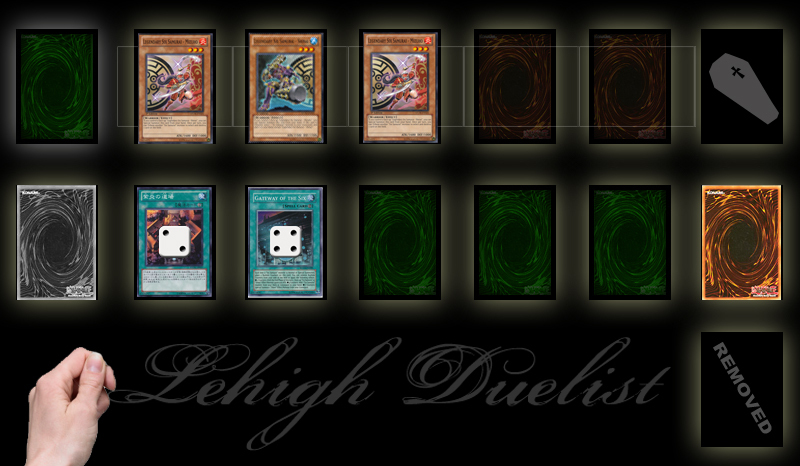 Namely Trident Dragon, Red Nova Dragon and Five Headed Dragon and using IRS plays. I - Malefic Stardust Dragon - There is lest cost to me to get at Trident Dragon this way since I run Stardust at 2 then the removal of 2 dragunities to Special Leyvaten. His protection is good too. II - Inferno Reckless Summon - I love how easy this card lets me get into Red Nova but even with out that there are a lot of other plays you can go for with 3 Planxes out. II - Mystical Space Typhoon - Im not a huge fan of the card but there are a couple of cards that can really stop this deck that MST is the best solution for. 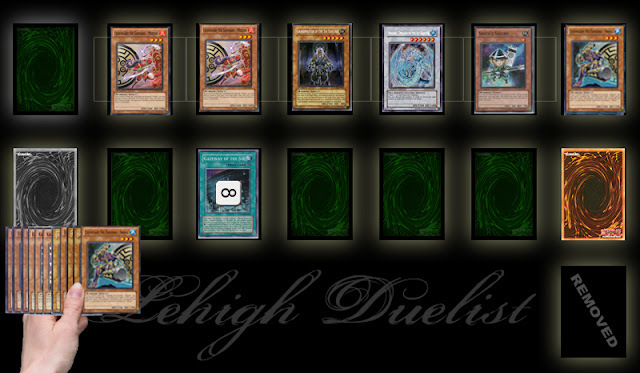 Ok if you are Japanese or can read japanese you can go here to read all about Exceed summoning which looks to change the face of yugioh like how synchros did. As the material in order to summon monsters Ekushizu. If Ekushizu summon monsters overlaid material is vertically below the Ekushizumonsuta sending of the cemetery. Ekushizu materials to be used behind the monster and not Monsutatokun. On the other hand, monsters can be used to trap Ekushizu material. Ekushizu treated as material because the cards on the field, "Blake Thunder" is not subject to such effects. In ZEXAL cartoon, two bodies with the same level of monster "shark dive Aero aircraft" had been summoned by the Ekushizumonsuta Ekushizu others. The material things that Ekushizu "overlay" was called. Q: What materials can be used to show monsters Ekushizu back? Q: If sent to the Graveyard and the effect is destroyed by battle Ekushizumonsuta, material Ekushizu what happens? Q: Ekushizumonsuta intended that on the field, "Subspace material transfer device," If you invoke or material will be removed from the game were repeated Ekushizu? Q: Ekushizumonsuta targeted on the field to "escape mechanisms" force when invoked, or even return to the hand was stacked material Ekushizu? Q: Ekushizumonsuta targeted face-up on the field that exists in the "Book of the Month" If you invoke or material will be displayed Ekushizu back? A: In this case, the field will continue to live Ekushizu material. Q: "macrocosm" and "flash outcast" if you leave the field when there is Ekushizumonsuta, Ekushizu or material will be removed? Q: "Rip dimension" if you leave the field when there is Ekushizumonsuta, Ekushizu or material will be removed? Q: Ekushizumonsuta targeted face-up on the field that exists in the "mental manipulation" If you invoke, or move any control over Ekushizu material? (Talk about sticking by your man) If I read this right then if your Exceed gets Mind Controled then the materials go with him TO YOUR OPPONANTS SIDE. So what if they have no room in the back row can they not use mind control? Q: I have Ekushizumonsuta "Sukirudorein" If you had the effect of such material is Ekushizu what happens? Q: Special Summoned from the graveyard onto the field by virtue of their "" Zonbikyaria "" The time will be excluded from the game apart from the field, this "" Zonbikyaria "" Ekushizu Ekushizu when summoned to How can I use as a material? If the material can be used as Ekushizu If this "" Zonbikyaria "" will remain on the field you want to continue? Or will I get removed from play? A: Special Summoned from the graveyard onto the field by virtue of their "" Zonbikyaria "" to use it as a time of summons Ekushizu Ekushizu material is allowed. Also, "" Zonbikyaria "" When used as a Ekushizu material, not as a monster card, will be treated as a material for Ekushizu continue to remain on the field is not excluded from the game. Q: as a material that exists on the Monsutakadozon Ekushizu "critters" If sent to the Graveyard, the effect of fires or search? A: The material used to summon Ekushizu Ekushizu not handle a card on the field. Q: as a material that exists on the Monsutakadozon Ekushizu "Dandelion" has been sent to the Graveyard, the effect is what fires? Q: Ekushizu material exists as a "Cyber ​​Dragon" to the machine group and "Dragon Fortress Kimeratekku" What materials can be sent to the Graveyard as a fusion? Q: When there is material on the field Ekushizu Ekushizumonsuta and his opponent, "" machine gun trained "" to invoke. 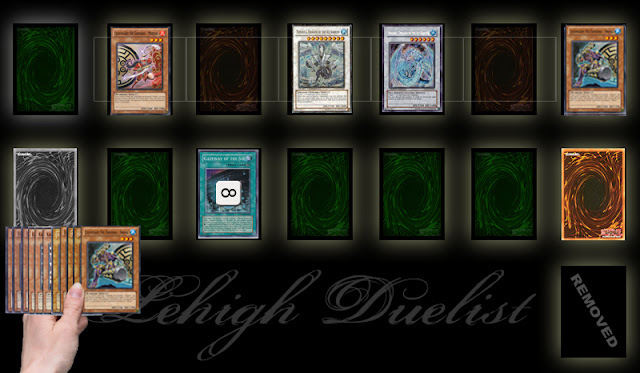 In this case, the number of Ekushizu material, "" machine gun trained, "" in the other hand the total number of cards on the field or the other] are included? Master mind is seeing a lot of play lately and will soon be exploding with the new psychics that we are gonna see in EXVC. But really why you are seeing Master Mind in this post is gonna be for the same reason why your gonna hate seeing Master Mind being played once the Gusta's come out. 2. You can put a counter on Brain Research and Tribute the Caam, serenity of Gusto, to Special Summon Caam, serenity of Gusto from your Deck and not pay the 800 cost. Repeat this till you have 2 Caams in the grave and with the 3rd on the field use her effect to return the 2 Caams and draw a card. 3. 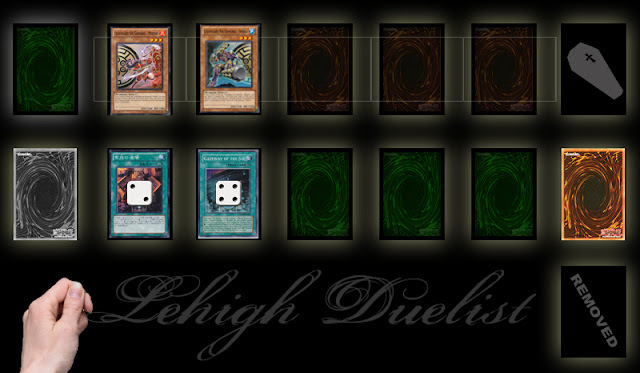 Repeat step 2 until you draw Exodia and yell "YUGIOHHHHH!!!!!!!!!" "Once per turn, you can select and return 2 "Gusto" monsters from your Graveyard to the Deck to draw 1 card." Some good choices and some player preference. Im going to go over a couple more that are worth peeking at. I do not recommend using all of these cards, nor some, nor any these cards (except terraforming) they are just some cards that can have good synergy and may fit your play style. When you run 3 terraforming and 3 Ravines needless to say your field spell is key to your win condition. Since you probably will be running multiples of stardust he cant hurt, if anything he can help you grab for Trident dragon. Look no doubt about it your gonna struggle with hand advantage and this card can plus you like crazy. But you are gonna have to way the pros and cons though in certain match ups. If you get so focused on setting, flipping and dumping your tuners with Jar you may really regret giving that 6 Sams player a fresh hand. Remove from play this card from your Graveyard to negate 1attack this turn from a monster your opponent controls. 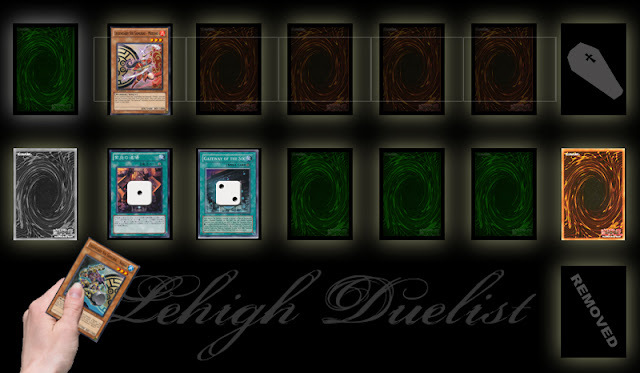 One of the problems with the deck is hand advantage. There is nothing worse than not having a Ravine in play and topdecking a ravine, or having to ravine a card you want. Shell gets you that card in hand to use with ravine. I don't run it because I couldn't find the space but volcanic builds can play rather well. Card is bad@$$. It may not be essential,with all the other ways to get 'ish in your grave, but man does it speed up the deck, not to mention wastes opponent resources out of five headed fear. This one is interesting heres the effect in case you dont know. "You can only activate this card when 1 monster with an ATK of 1500 points or less is Special Summoned to your side of the fieldwhile there is a face-up monster on your opponent's side of the field.Special Summon all cards with the same name as the Summoned monster from your hand, Deck, and Graveyard in face-up Attack Position. Your opponent selects 1 monster on their side of the field and Special Summons all cards with that same name from their hand, Deck, and Graveyard." "Select 1 face-up Equip Spell Card you control. Destroy it and all SetSpell and Trap Cards your opponent controls." Run 3, run 3 run 3.... BTW run 3! With Ravine there are no dead draws. It gets you a ravine, thins your deck and worst case you ravine it. Tribute Shinai 4 Mizuho's effect, destroying herself. Bring Mizuho back 2 the hand with Shinai's effect. Special Mizuho and Shinai get your counters. 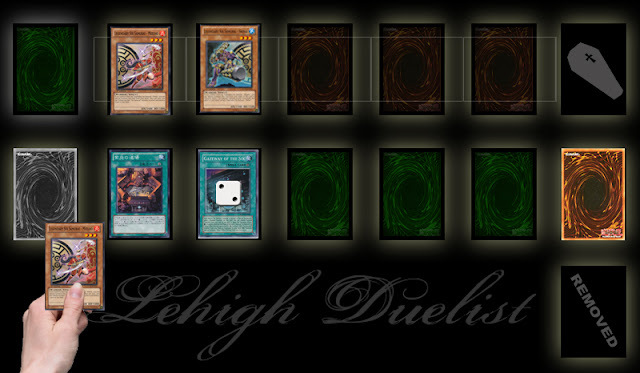 Bring back a level 3 Sam (alternate Shinais and Mizuhos so you can special them to the field) + Grand Master + Spy = Trishula. Rinse and Repeat till thier hand, grave and field is devastated then synch into enough monsters to give you game. 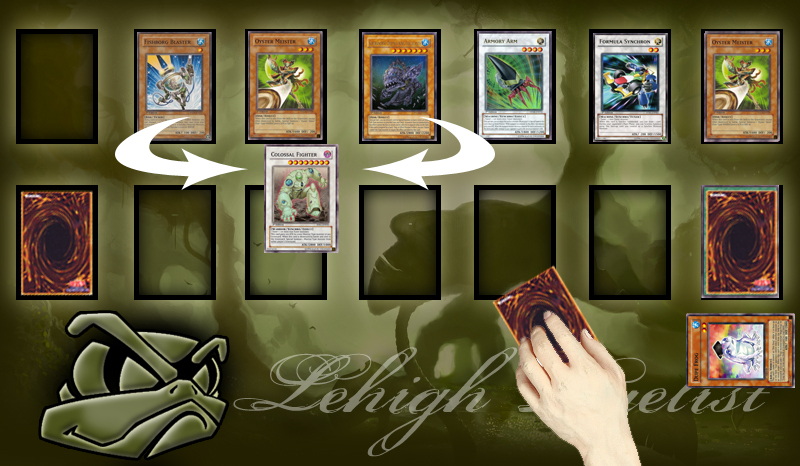 The New Structure Deck: Dragunity Legion came out 2 days ago and I finally Picked one up (well 3 actually LOL) I gotta say they are a blast to play. If your looking to run the deck I wanted to show you a quick way to do it, utilizing as much of the included cards as possible. 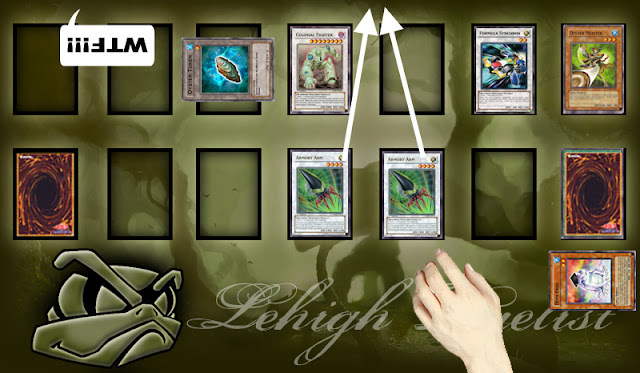 Its a pretty straight forward build and a good starting point for those looking to buy the structure deck and start playing. 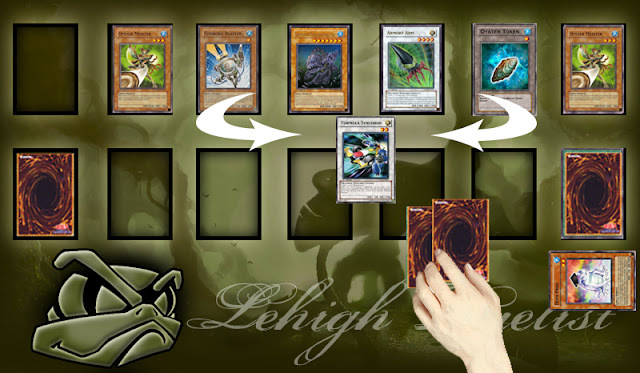 LaDD is a great tech card in this deck but not for the regular reasons since you probably wont summon him. Decks that run more than 1 Leyvaten can look to dump LaDD via Ravine. Then summon Leyvaten equipping LaDD to him. Now If either are destroyed then LaDD's effect activates in the grave whiping your field but letting you special your Leyvaten back. Rinse and repeat till your opponant wants to bash your skull in. After working with Karakuris some I began running a Salvo build and quickly realized that speed and consistency was sorely lacking even though the Machine Duplication OTK was cool as H3ll. 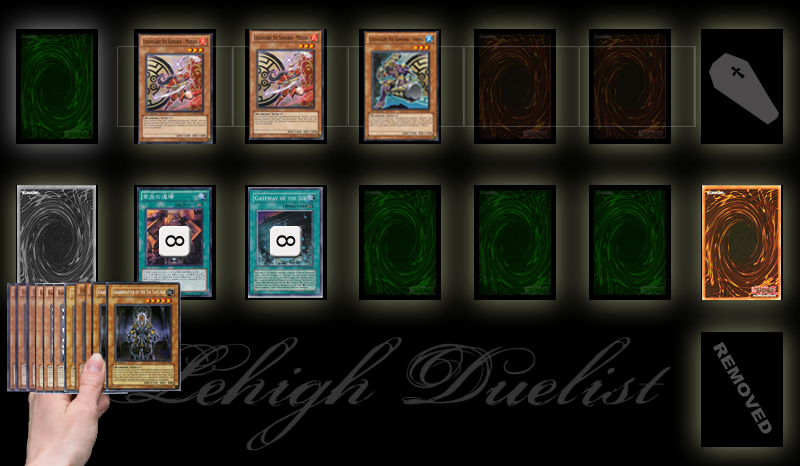 (Trigger) When this card is Synchro Summoned, you can Special Summon 1 "Karakuri" monster from your Deck. (Ignition) Once per turn, you can select 1 monster on the field, and change its battle position. (Ignition) Once per turn, when the battle position of a face-up "Karakuri" monster you control is changed,draw 1 card. Lets look at the cards that can get em out. Im going to leave of talking about the KK tuners for a moment. If speed is our goal we want special summons or at least good search ability. Spore and Glow Up Bulb do the trick especially when comboed with one for one and Lonefire. Being one stars that can return for one more syncro it makes going from Rei to Burrito a cinch. And if you remove a bulb for spore spore is a 2 if you remove lonefire he's a 4. 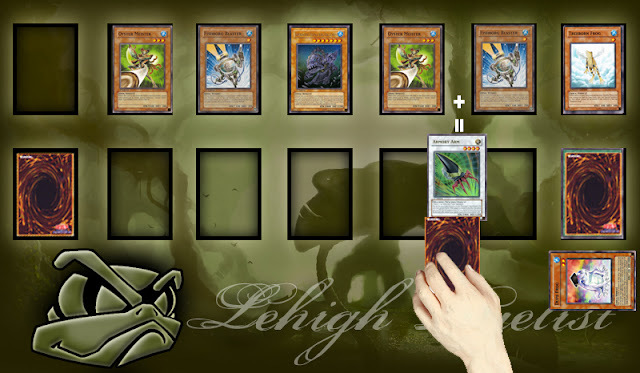 So with the plant tuners alone we need some level 4-6 special summonable machine type monsters. Speaking of SSable level 5s can you think of any other? How about our celebrated reptilian Samus Aran impersonator, Cyber Saurus. Who??? Well how are we gonna make him? Instant Fusion. You know that spell card that looks like a cup of Ramen. Level 3 Tuner (3+4=7), grabbable with Rei and Burrito, plus his effect can let you draw a card if you have Burrito up on the field. Karakuri Watchdog mdl 313 "Saizan": level 4 tuner (4+4=a tasty burrito), cant be destroyed by battle and in the rare case u take battle damage from this card u pump your KKs up by 800 atk. nifty if you gotta get over something big. my other 2 are non-tuners to give you targets you can synch with your other tuners. Karakuri Ninja mdl 919 "Kuick": level 4, 1700 atk that when you destroy an opponent's monster by battle to the graveyard he can grab your strategist or watchdog to synch with. III Karakuri Strategist mdl 248 "Nispachi"
I Karakuri Muso mdl 818 "Haipa"
I Karakuri Ninja mdl 919 "Kuick"
I Karakuri Soldier mdl 236 "Nisamu"
I Karakuri Watchdog mdl 313 "Saizan"
III Karakuri Steel Shogun mdl 00X "Bureido"
III Karakuri Shogun mdl 00 "Burei"
Karakuri Komachi mdl 224 “Ninishi” in Extreem Victory then we can bump up the KK count and really run it how it should be run where we go for Rei use the effect then get a level 1 tuner out to go for Burrito, It does kinda hurt to go right to Burrito leaving Rei all lonely in the extra deck. Genex Neutron seems a bit slow to me but for those out there that prefer you can pull the Psychic cards and run him instead. 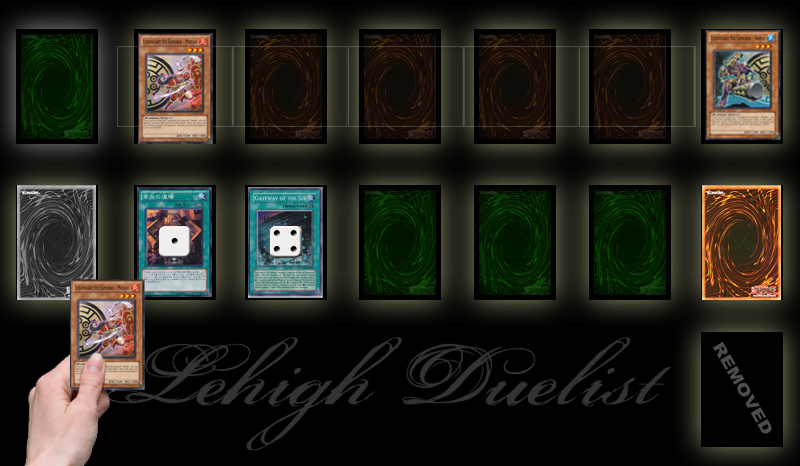 Finally Lehigh Duelist Is Up - Heck yeah!!! I finally had that WTF moment... after writing for other peoples blogs and on forums for ages I finally sat back and thought ummmmm what am I doing???? Im by far not the glory hound so this blog isnt to support my ego or to brag with, its all about the content and being able to write and speak in a setting where I can exercise full control. As much as I loved writing for other peoples blogs and such I always had to worry how it impacted their image. So welcome to Lehigh Duelist, every thing Yu-Gi-Oh related. 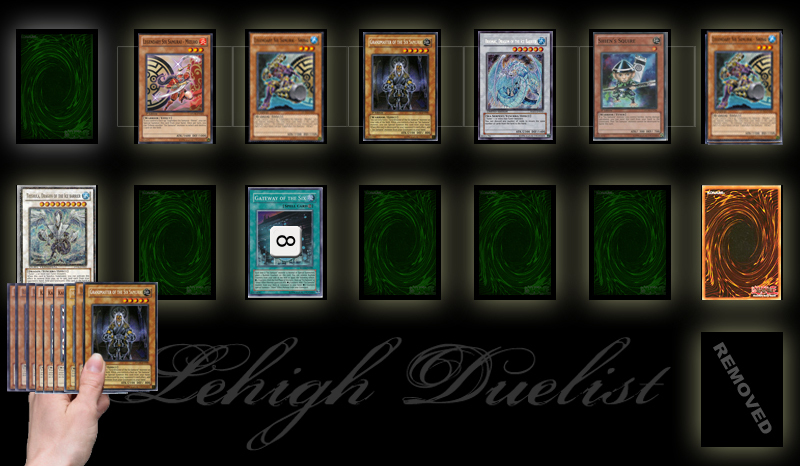 Ill be posting a back log of past deck reviews, talking about the meta, mostly TCG but some OCG. Please subscribe so you stay up to date I will be posting a lot at first due to past articles that have already been written but I will try to spruce them up in view of the new ban list.